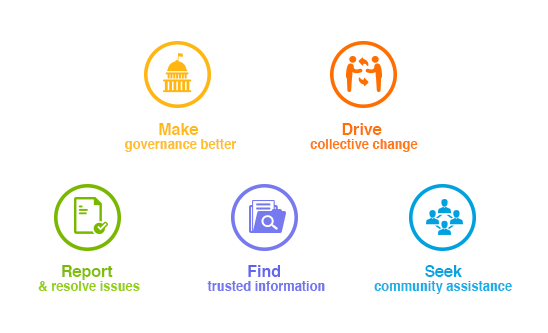 What Citizens want from Start up India Mission? New Delhi, India, January 06, 2015 – LocalCircles (www.localcircles.com), India’s leading citizen engagement platform today announced the results of its survey and discussion on Start Ups and Entrepreneurship. With over 14,000 citizens responding to each question and over 35,000 unique citizens participating in the polls and discussions, it provides insights into current challenges as well a blue print for the key areas that the mission must focus on to enable Start Ups and Entrepreneurship in India. A number of questions were asked to determine what is needed in this mission. While the normal association of start-ups is with digital companies only, almost 98 % citizens want that the definition of start-ups should be expanded to include grass roots entrepreneurship. Moreover, while capital is perceived as the biggest barrier to entrepreneurship citizens do not see it as such, with only 14 % voting on it as a barrier. 59 % of the citizens believe that it is the inefficiencies, corruption, delays and bad business practices that are the biggest barriers to entrepreneurship. 13 % believe that lack of a supportive ecosystem was a barrier while 13% believed registration and taxation related processes and keeping up with them was a barrier. In response to another question, citizens also outlined a clear need for a local start up ecosystem in their town. 7. It should enable start-ups to easily find partners, vendors, initial pilot customers etc. 15. The mission should provide a list of Industrial/IT sites available for start-ups in every state along with benefits offered. 17. It should provide a 2 year tax and filing moratorium from business start-up /registration date to all entrepreneurs.